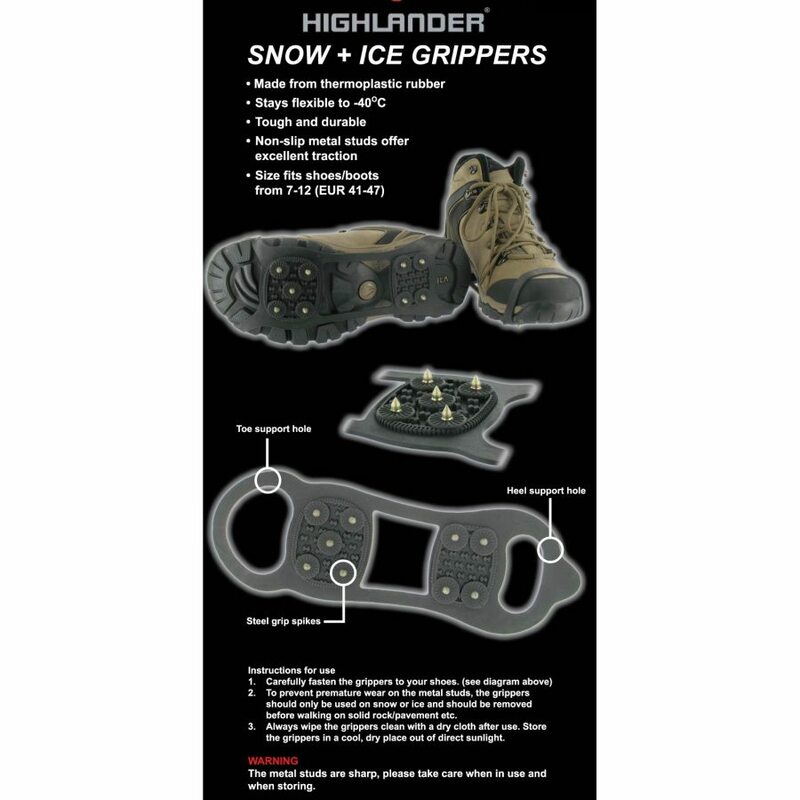 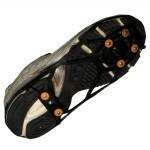 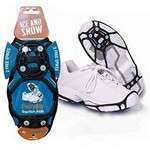 Highlander Snow and Ice Grippers. 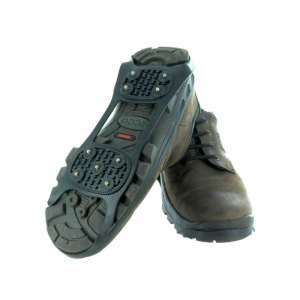 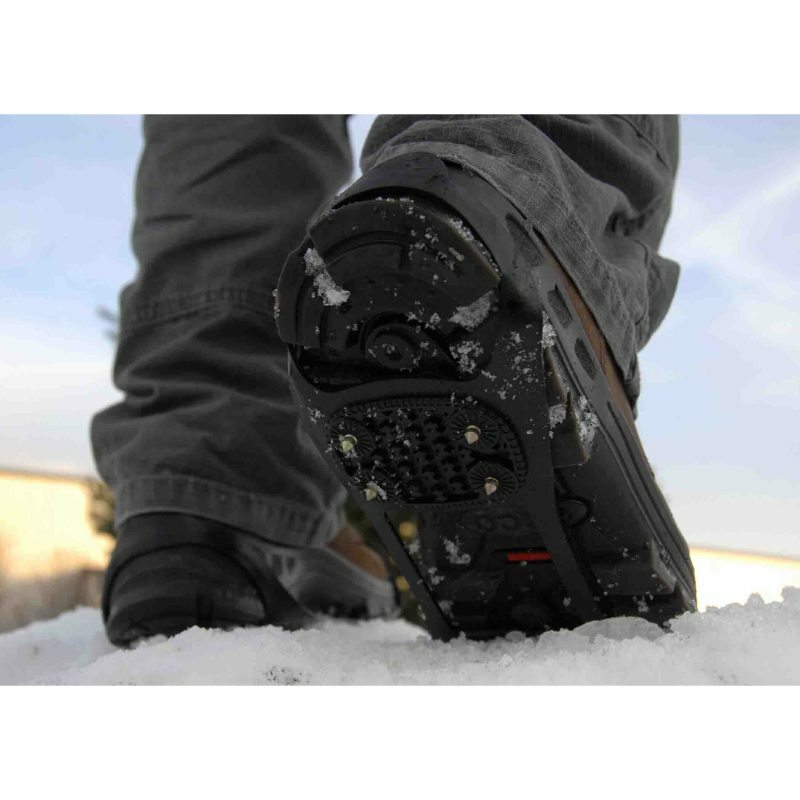 Enjoy your winter walks with these wonderfull Snow and Ice Grippers featuring tough and durable non slip metal studs, designed to fit boots/shoes from 3-6 or 7-12. 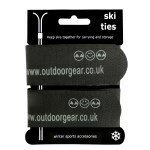 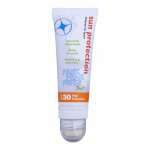 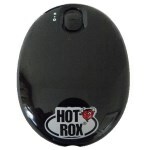 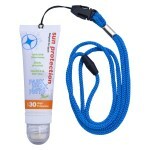 Get them quick as we will sell out fast once the snow starts!